Product prices and availability are accurate as of 2019-03-31 08:45:48 EDT and are subject to change. Any price and availability information displayed on http://www.amazon.com/ at the time of purchase will apply to the purchase of this product. 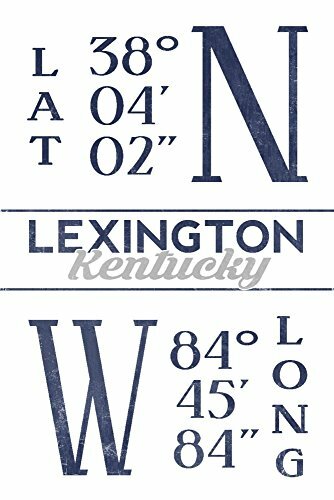 This original high-quality art print from Lantern Press boasts sharp detail and vivid imagery of Lexington, Kentucky - Latitude and Longitude (Blue) (12x18 Fine Art Print, Home Wall Decor Artwork Poster). Printed on heavy stock paper using a high-end digital printing press guarantees: color accuracy, durable imaging, and the highest print resolution available. This print is 100% Made in America. 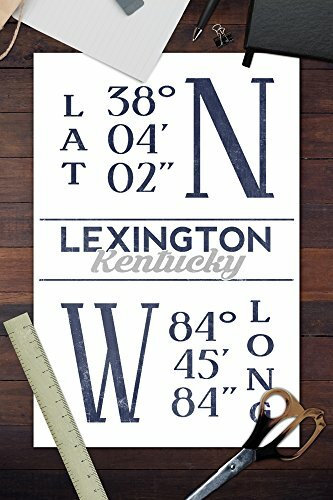 Paper size measures 12 x 18 in with an image size of 11 5/8 x 17 5/8 in, perfect for framing. We use only fine art inks, which are fade-resistant, museum-quality archival quality, with acid-free pigment. 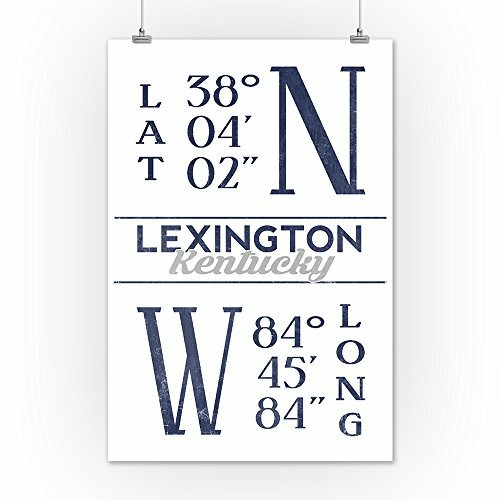 Art print will ship in a sturdy art tube, protected in a water-proof sleeve. Lantern Press is a dynamic art company that specializes in the world's leading imagery. Our collection includes original works created by our in-house art team, photography, home & office decor trends, vintage art, and more. Your support allows us to continue doing what we love - creating beautiful art.